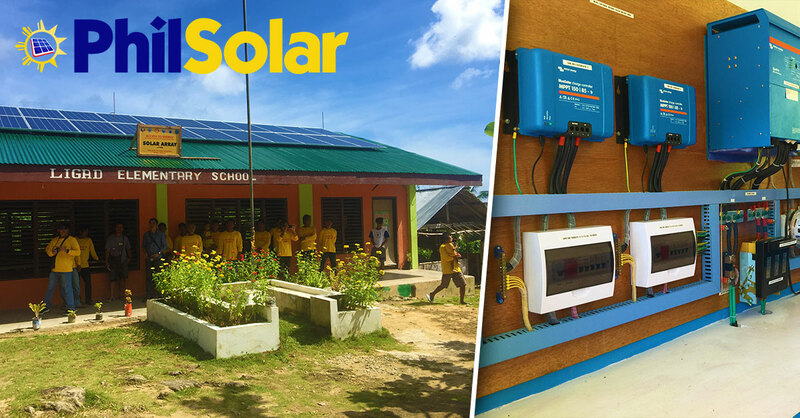 Below you will find photographs and information from some of our Hybrid Solar Power, Grid-Tied and Off-Grid Solar Power systems installed all around the Philippines. You will notice high quality imported products such as Victron Energy Solar inverters, Solax Power inverters, Pylontech Phantom Solar Batteries, Growatt inverters and Jinko Solar photo-voltaic panels. Solar Power installation for the Shell Foundation in Binaluan. Installation by JK Solar Power House. 35.88KWp grid connected Solar Power installation, in Cainta, Antipolo. Installed by High Energy Solar Panels, for Enfinity Imperial Solar Solutions Inc.